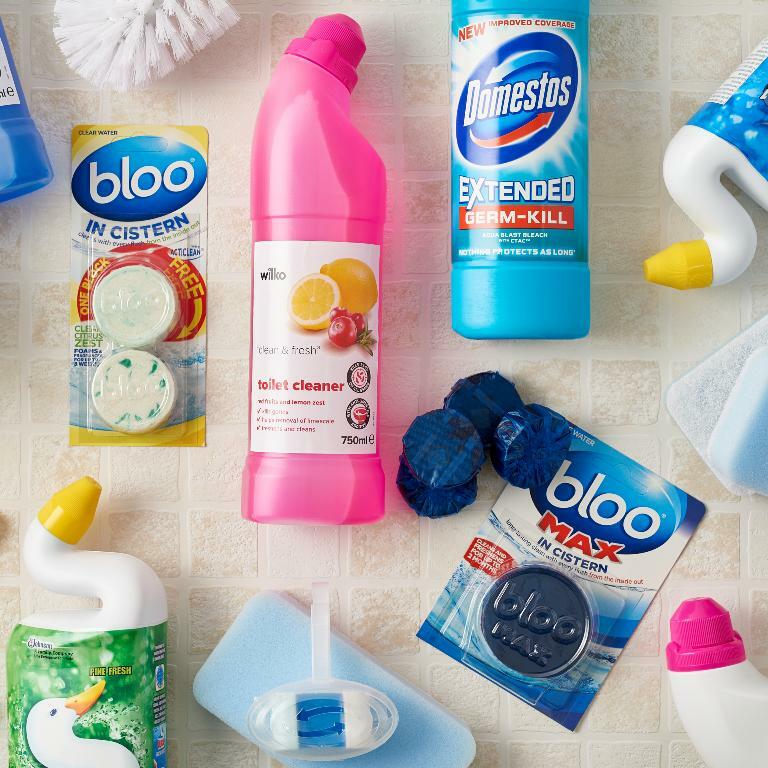 Can you no longer put off cleaning your bathroom? Dreading getting to grips with limescale, dull taps and grimy tiles? With these 10 tips, your bathroom will be sparkling in next to no time – and without requiring too much elbow grease! Showerheads can soon become clogged with limescale, and scrubbing with bleach and a toothbrush might not be enough. To give it a deep clean, pour a good amount of white vinegar and equal parts water into a plastic bag and tie this around the showerhead (if its fixed) or place in a bowl (if it isn’t fixed). Leave overnight then rinse in the morning and voila! Top tip – if some of the spray holes remain blocked, use a fine needle to pierce through the limescale. To prevent a build up of mould and mildew, regularly put your shower curtains in the wash with your normal detergent. But if you notice mould stains building up, try spraying these areas with diluted bleach. 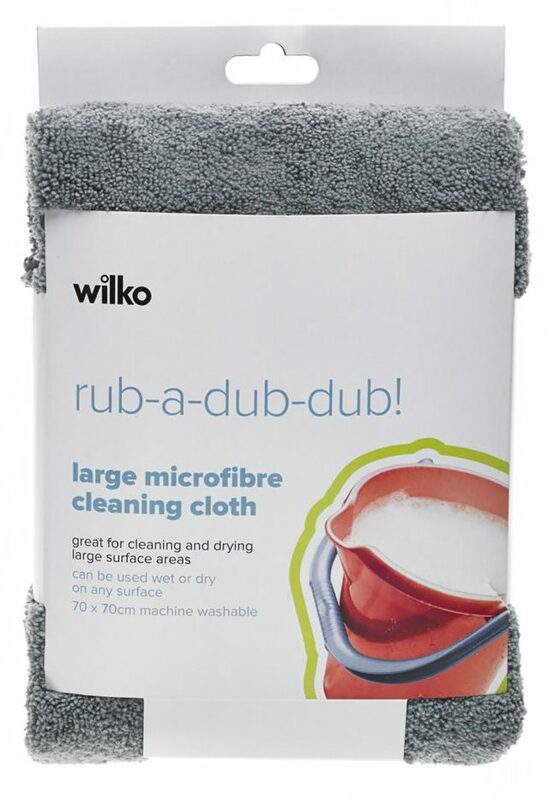 Top tip – put some old towels in the wash with your shower curtain as these will help scrub off any built-on dirt. Make a paste for your shower doors using a cup of bicarbonate of soda and several drops of white vinegar. Apply to the shower door and leave for around an hour before rubbing off with a wet cloth. Then use a dry microfibre cloth to buff some added shine into the glass. Grout is one of the worst offenders in the bathroom, often turning black with mould over time despite careful cleaning. As often as you can, dip an old toothbrush in bleach before scrubbing discoloured grout with it. For stubborn areas, try a mixture of bicarbonate of soda and water, brushing this paste into the grout with your toothbrush. Then spray the area with a white vinegar and water solution. This makes the bicarbonate of soda get to work, lifting soap scum up off the grout (and it’ll work on tiles and ceramics, too). Spray your preferred all-purpose cleaner on walls, countertops, tiles and the ceiling, before creating steam by turning your shower on. Once the steam has built up (this tends to take about 5 minutes), turn the shower off and leave the room, shutting the door behind you. Return after approximately 20 minutes and wipe down all the surfaces. It’s as simple as that! Top tip – to prevent water marks on ceramic tiles, just apply some car wax onto your tiles once a year. This will make sure the water turns into beads and rolls off the tiles rather than drying on them. To keep the toilet clean on a daily basis, use bleach and a toilet brush. But for a deep clean on a weekly basis, use a toilet cleaner (cola is a great, too! ), squeezing this under the rim so it runs all the way down into the bowl. Use your toilet brush to give it a good scrub then leave it to soak for up to 15 minutes. In the meantime, disinfect the rest of the toilet using a mixture of vinegar and water in a spray bottle. Wipe everything down, rinsing out your cloth with hot water frequently. Then, lift the toilet seat and spray some of this solution under the rim before giving it a thorough clean. Finish off with one more scrub using your toilet brush and flush the toilet to see it sparkle! An all-purpose cleaner works a treat on your shower trays, baths, sinks and other ceramics. Liberally spray each surface, allowing it to get to work while you clean other areas. This soaking time ensures soap scum and oils are dissolved so they’re easy to remove. Use a scouring pad to remove any stubborn grime, getting into hard-to-reach areas (i.e. around the tap) with a toothbrush. Top tip – detachable showerheads are perfect for rinsing everything away afterwards. And don’t worry if you haven’t got one – removable showerheads that you attach to your bath taps are perfect! To bring added sparkle to your bathroom, clean your taps with washing-up liquid before rinsing and buffing with a dry cloth. If there is leftover limescale, soak a cloth in some limescale remover (or a white vinegar and water solution) then wrap this around the tap and leave it for a while. (This isn’t suitable for plated taps). To make sure your bathroom’s always looking spick and span, use some handy bathroom storage solutions that keep things neat and tidy. Opt for baskets for towels, storage towers for all your toiletries and shower baskets for those everyday essentials. Finally, if no amount of cleaning will bring your bathroom back to life, it may be time to give it a splash of paint to rejuvenate it. You can even get paint for your tiles, which provides you with a cost-effective way of revamping your bathroom without having to splash out on replacement tiles. 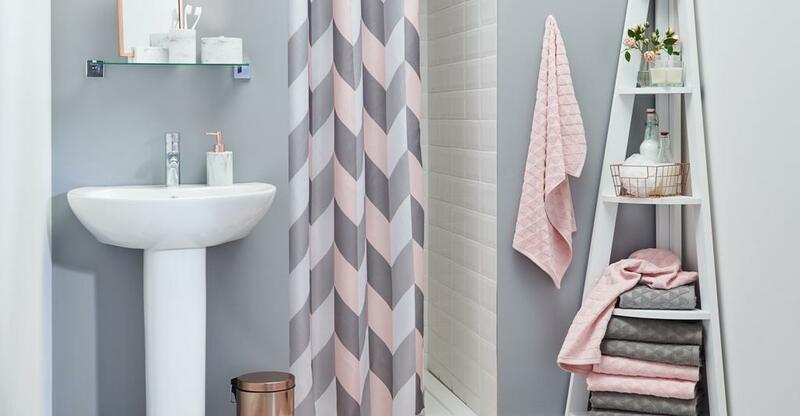 Equally, if there’s nothing wrong with the decor but you feel as though your bathroom needs a bit of a revamp, why not introduce some colourful new accessories? Even changing your bath towels for a new colour can give your bathroom the lift it needs. Got some other handy cleaning hacks? We’d love to hear about them on Twitter, Facebook or Instagram!